Fresh fava beans in their pods. You might be able to find fresh fava beans at grocery stores specializing in imported Latin American, African, or Middle Eastern foods. If you are fortunate enough to get your hands on some you might need some help preparing them. First, remove the beans from the pods. Fresh pods are usually pretty soft and should be easy to rip open with your bare hands. 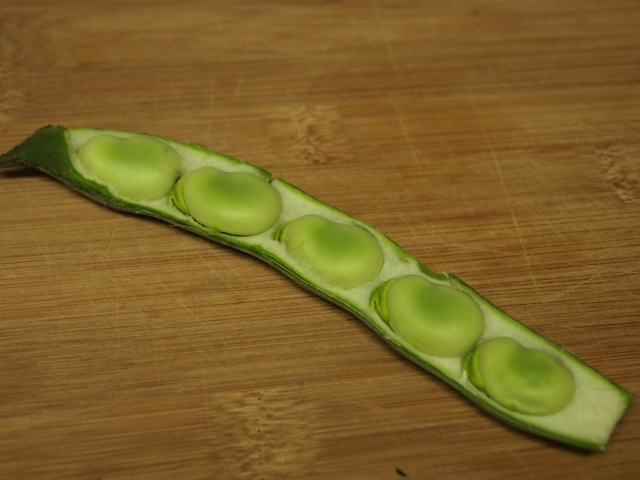 There are typically three to five large beans in each pod. 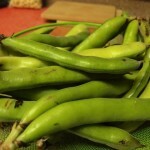 Once you have removed the beans from the husks you still need to shell the fava beans. The easiest way to do this is to blanch the beans in boiling salted water for about one minute. Rapidly cool the beans under cold running water or in an ice bath. 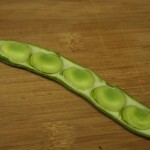 This will loosen the shells and allow you to easily peel them away from the beans. 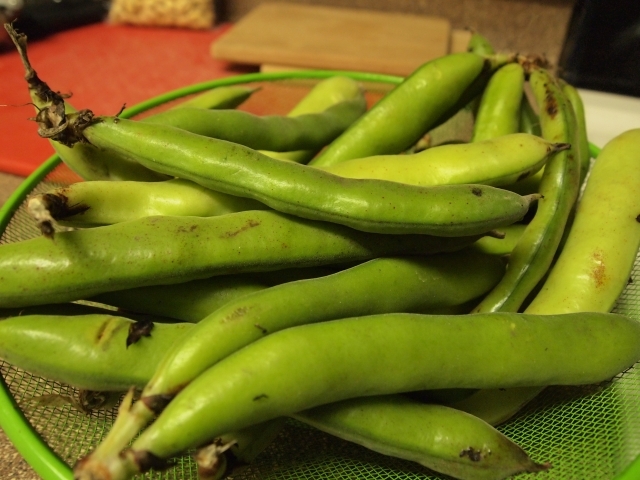 Now you have a bowl full of fresh, delicious fava beans that are ready to use!